Created by nlarson on Mar 12, 2013 10:40 AM. Last modified by danzima on May 18, 2018 2:52 PM. We want you to know how much we value the problem-solving, innovations and creativity you bring to the element14 Community. As a way of thanking you for all that you do, we've developed a system for recognizing you and your contributions in front of your fellow engineers and hobbyists. You may have noticed that each of you who have joined the element14 Community has an icon on your profile to identify the level of status you've reached. Each member starts out as a "Level 1: Coulomb" with 0 points. You earn points by participating in the Community. You may also complete missions that allow you to earn badges that you can display to showcase your level of expertise and achievements within the Community to your fellow members. Below you’ll find a list of the available levels, the actions can earn you points and available missions for you to complete to earn badges. What do you get for earning points? We will regularly review members who have demonstrated a high level of participation and contribution. We look at member participation for selection of our Member of the Month, the monthly Top Contributor award and inclusion in the element14 Community Experts Program. Upon meeting select criteria, element14 Community invites the members who have established themselves as influencers, mentors and thought-leaders to join the "Top Members" group. The Top Members are an elite group who are awarded membership in a private forum where they participate in exclusive RoadTests and giveaways, get sneak peeks at new content and features and shape the future of element14 Community through voting on and consulting on future features. Not a member, but want to join to contribute and earn points to be recognized? Click here to register! Have an idea or suggestion you'd like to share with us? Share it with us in Feedback & Support. Below is a list of the available levels and the minimum number of points you must have in order to reach the next level. Every member starts out with 0 points, a Level 1: Coulomb. The levels are a tribute to a historical figure that’s made significant contributions in electronics history. We encourage you to learn more about the engineer that represents your level by clicking on the “Get the Full History Lesson” links below. Honors Charles-Augustin de Coulomb. The French physicist best known for creating the definition of electrostatic force of attraction and repulsion, the Coulombs Law. Get the Full History Lesson. You may also notice that some members have special badges that you might have in your available missions. These badges are meant to help you easily identify Community members with specific qualifications more easily or reward a member for a special achievement. You have held the title "Member of the Month"
This badge identifies the individuals who the element14 Community team has invited to be Top Members. You can trust their experience and expect high quality contributions from them. This badge identifies the first place winner from a Design Challenge. Complete some basic new member activities such as update your avatar and profile, read the New Member Welcome Blog and Follow a new friend to get "plugged in". Like a blog post for the first time, create your first comment and rate a document for the first time. @mention someone for the first time, use tags for the first time, Mark a question helpful for the first time and write your first blog post to earn the MegaBytes badge. Start and reply to a discussion for the first time. This badge identifies any member who is an employee of the element14 company. If you have questions or get lost - members with this badge can help! Have 10 of your responses to other members' questions in any one of these Raspberry Pi groups marked "correct". Have 20 of your responses to other members' questions in any one of these Raspberry Pi groups marked "correct". Have 40 of your responses to other members' questions in any one of these Raspberry Pi groups marked "correct". -"Like" your two favorite projects. You may see some badges on our member's pages that you are no longer able to get. Below is a quick reference for what those badges mean. This badge identifies a People’s Choice winner from a Design Challenge. This badge identifies a Design Challenge Runner Up. 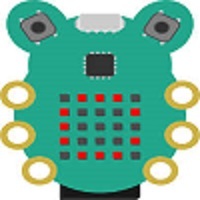 This badge identifies a Design Challenge Finalist. Re: What should we run as the next 'Design Challenge Competition' ? Give us your suggestions! Re: How many badges are possible?